Republicans and Democrats alike condemned him for a news release he sent out criticizing a proposed tobacco tax increase by referring to the 2014 death of a black man in police custody. Linthicum’s release came as across the country another state leader was embroiled in controversy over race. Virginia Gov. Ralph Northam’s possible involvement in a photo of someone in blackface standing next to someone in a Ku Klux Klan hood has prompted Democrats throughout the country to call for his resignation. Linthicum didn’t respond to interview requests or written questions about the controversial news release. On Monday as he left a committee hearing, he told Salem Reporter he wouldn’t comment beyond his release. Those were the dying words of Eric Garner as police wrestled him to the ground in New York and put him in a chokehold as they arrested him for selling loose cigarettes. Garner died. The death incited national unrest and was viewed as an instance of police brutality against black men. Protesters began carrying “I can’t breathe” signs in rallies around the country. Several NBA players, including star LeBron James, wore black T-shirts with “I can’t breathe” emblazoned across the front. No officer was indicted, but nearly a year later the city settled with Garner’s family, paying out $5.9 million. Linthicum used those famous words last week not to protest police actions but to escalate his fight against a proposed hike in cigarette taxes. Gov. Kate Brown and the Oregon Health Authority are proposing to increase the tax by $2 per pack of cigarettes. Last week, legislation was moved from the House Committee on Health Care to the House Committee on Revenue with no recommendation on how to proceed. In his Feb. 7 release, Linthicum argued that Garner died because of high tobacco taxes created a black market for cigarettes. He reasoned that if the taxes weren’t as high, Garner wouldn’t have been out on the street corner selling cigarettes. His spokesman, Jonathan Lockwood, clarified on Monday that Linthicum also believes police brutality lead to Garner's death. House Democrats, who received the news release minutes before a floor session Thursday, characterized the message as trivializing a man’s death. State Rep. Jennifer Williamson, D-Portland, condemned the language in a floor speech. “I just want to share my feelings about how inappropriate this is, how upset I am by this and to register my disgust,” she said. House Republicans reacted as well. The House Republicans called on Linthicum to answer questions about the remarks, disagreeing with the assertion that taxes caused Garner’s death. On Friday, 24 House Democrats wrote Linthicum, condemning his release and asking for his apology. The release noted the Legislature is working to improve its workplace culture in wake of allegations of sexual harassment. Linthicum’s comments show there is more work to do, the release said. Then his own leadership came for him. Senate President Peter Courtney also denounced Linthicum’s statements. Courtney’s staff did not immediately respond to a question about whether Linthicum’s committee appointments could be in jeopardy. On Friday evening, Linthicum’s office doubled down on his message. Linthicum has yet to address the statements publicly, but his spokesperson took to Twitter over the weekend to stand by the logic and lash out at Republicans who have deserted Linthicum. Lockwood also tweeted a statement from the Oregon Firearms Federation, which also lashed out at Republicans. The federation set up a form where people can sign a petition to Sen. Baertschiger, condemning him from “pandering to Democrats” and calling the assertion that his news release was racist absurd. In 2016, the Oregon Firearms Federation gave Linthicum’s campaign $3,500. In 2018, he received $2,000 from Altria, one of the largest tobacco companies in the world. Linthicum, who started his political career as a Klamath County commissioner in 2011, has a taken a conservative stance on most issues. He also works as a rancher and irrigator in Klamath County. At the Legislature this session, he is vice chair of the Senate Committee on Health Care and serves on the Senate committees on judiciary and information management and technology and the Ways and Means Subcommittee on Public Safety. In 2018, he voted against a bill to prohibit stalkers from possessing firearms, and in 2017, he voted against raising the legal age to buy tobacco to 21. Even on bipartisan legislation such as transportation funding in 2017, he voted no. In 2014, while serving as commissioner, he challenged Oregon’s only Republican in Congress, U.S. Rep. Greg Walden, because he said Walden was too liberal, according to the Medford Mail Tribune. He was elected in November 2016 to represent southern Oregon’s District 28 in the Senate. 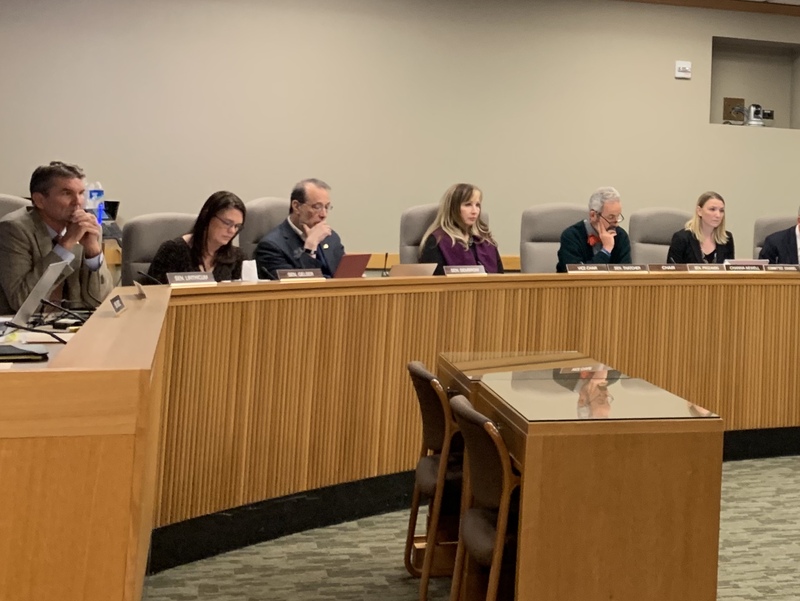 Aubrey Wieber and Paris Achen are reporters for the Oregon Capital Bureau, a collaboration of EO Media Group, Pamplin Media Group and the Salem Reporter. This story is published in cooperation with the Salem Reporter.